Light a spark with this abstract representation of energy in a visual animation, this energy wave video loop makes a good addition to your collection. A smooth motion design to have in your video library. 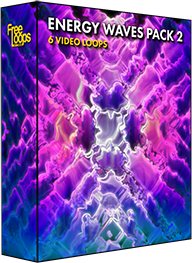 This video loop is part of Energy Waves Pack 2.